The 4th Annual SACC Job Fair & Mentor Connect is on April 21st 2018. SACC is pleased to announce its 4th Annual Job Fair and Mentor Connect to be held on April 21st 2018 -1:00pm-4:00pm in Jersey City, New Jersey. SACC Job Fair and Mentor Connect is an annual diversity recruitment and professional mentorship platform launched with a purpose of connecting prospective & bright talent with top employers. The event will offer numerous career opportunities at all levels (undergrad, graduates & lateral levels). In addition to the job fair, we are also hosting a mentor connect program which will provide you an opportunity to interact one on one with highly successful mentors and help guide you professionally. There is no participation fee for employers and candidates to attend this event. Space is limited and the booth space will be allocated on first come basis. 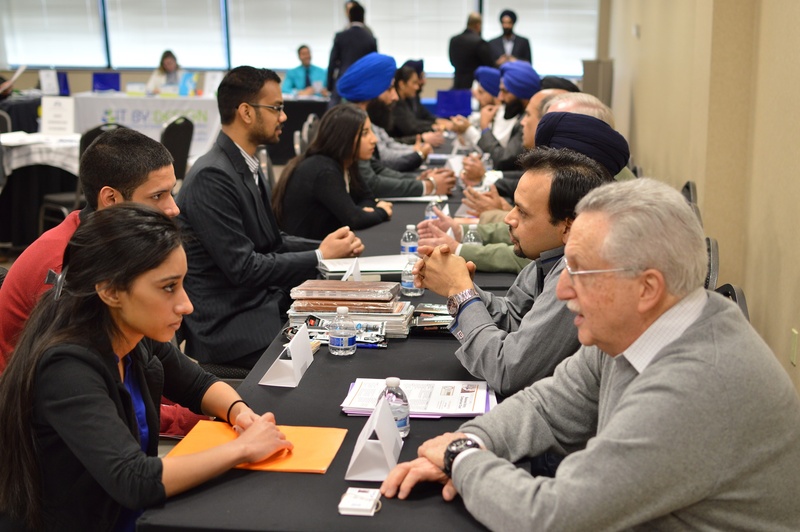 Interested employers can send an email to info@sikhamericanchamber.org to reserve a booth for themselves. Ernst & Young is a global company leading in assurance, tax, transaction, advisory services and strategic growth markets, to have a positive impact on businesses, the market, and society. We are recognized as a global leader in knowledge management. Morgan Stanley is an American investment bank and financial services company headquartered at 1585 Broadway in the Morgan Stanley Building, Midtown Manhattan, New York City. With 5 US offices and half a dozen affiliates in India and South America, we serve international corporate and individual clients on their most pressing challenges. We help companies navigate business and legal matters as they grow in their industries here and abroad. Chugh, LLP has over 15 legal practice areas and 200+ staff. SAI CPA Services|Accounting and Bookkeeping Services |Individual and Business Tax Return | New Business Setup | IRS Problem and Representation | Sales and Use Tax Preparation | Financial Statement Preparation Services. | Payroll Services. Ruitenberg offers a comprehensive approach to creating retail environments, including small stores, renowned supermarkets & top-tier stores worldwide. A remote control for your operations. Today, your mobile assets can be monitored from virtually anywhere you do business—across the country or around the world. Remote monitoring helps your team learn quickly where efficiency can be improved. Spectramed® and The Guardian Way® provide a fundamentally different approach to dysphagia therapy, developed by expert speech-language pathologists. 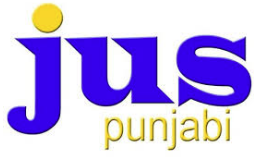 PTC is a popular Punjabi television network from India and is owned by PTC Network. It features general interest programming including news, dramas, comedies, music and talk shows. The worlds first Continuous Human Risk Assessment platform. Spark creativity and bolster a deep interest in Science, Math and Arts in children and young adults through hands-on practical learning by “Making”! Our Academy is uniquely focused towards fostering and developing essential 21st Century and STEAM (Science, Technology, Engineering, Arts and Mathematics) skills like Problem-Solving, Critical thinking, Creativity and Collaboration in a hands-on and practical but fun learning environment. We believe that “Making” can transform the way we all learn, from preschoolers through retirees. Indus Valley Partners is a leading provider of technology solutions and services to the alternative investment industry. Founded in 2000, Indus Valley Partners client base includes 25 of the top 50 global hedge funds. Managing more than $825 billion these clients represent over 25% of global hedge fund AUM. S & S Brokerage Inc. is New Jersey-based fully licensed and bonded brokerage company. We serve as the go-between of the transportation industry– connecting people who need their products. more. We offer the complete transportation solution to your every need. Knack System is a certified SAP consulting partner. We provide cutting-edge SAP business solutions – consultation & implementation services for Cloud CRM Solution, SAP Hybris Cloud for Service, SAP Hybris Cloud for Sales and more. Provider of IT infrastructure, professional and managed services, and consulting throughout the United States and Canada. As one of the leading financial institutions in our region, we provide consumer and business customers with the best in banking, lending and investment management services. Through the community, courtroom, classroom and halls of Congress, we work to protect the constitutional right to practice your faith without fear. We strive to do this with integrity, selflessness and with the belief that our shared work holds a greater purpose. 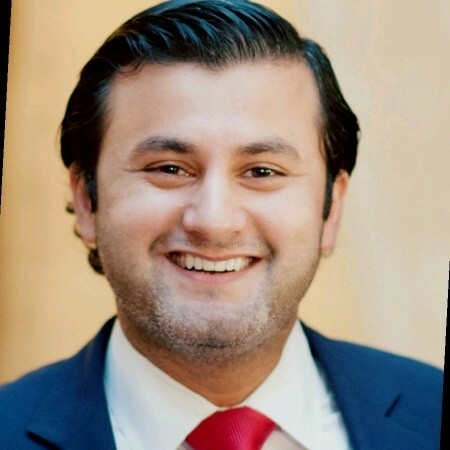 Amir is a Financial services professional with diverse business unit experience at leading investment banks and asset management firms. Dual Masters degree holder (MBA and MS) well-versed in financial modeling, business analytics, product development, and business strategy. Key strengths include strong interpersonal skills across senior management, cross-functional partners, global teams and consultants. 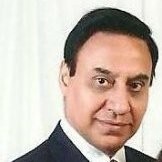 With over 20 years of overall professional career, Baljeet Singh is extensively experienced in US corporate, partnership and individual tax planning, tax compliance including multistate tax returns filings with foreign accounts and assets reporting, and representation before IRS and other government agencies. 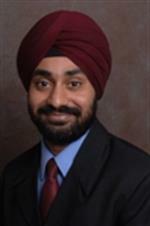 Mr. Singh also carries extensive experience in financial statements audit, review, and compilation. 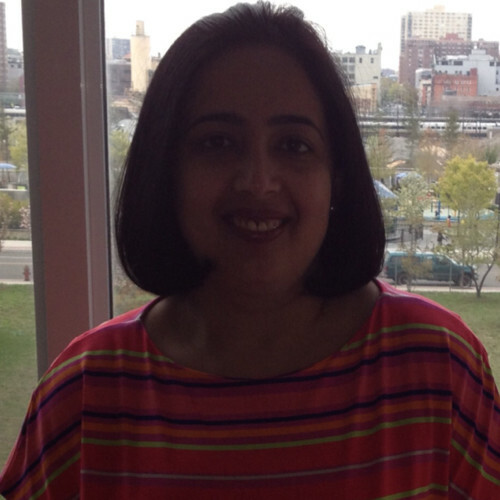 A business intelligence enthusiast and enterprise software entrepreneur based in NYC. 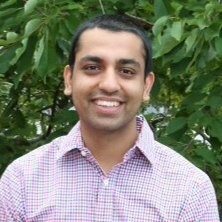 I am currently a founder & CEO of Clear Analytics, a company that’s looking to bridge the divide between the business’s (risky yet) pervasive use of Excel vs. the slow (yet safe) software development lifecycle of automation and report generation. I have previously spent more than 15 years in the financial industry building sophisticated user experiences for highly complex data entry and business intelligence solutions in the world’s leading financial institutions. After seeing the same classic challenges time and time again, I founded Clear Analytics to develop software that addresses the ‘known unknowns’ in the world of enterprise business intelligence which experiences a failure rate of 70%, primarily due to failed adoption. Experienced Manager in Advisory Services with a demonstrated history of working in the Industrial Products and CPG industry. 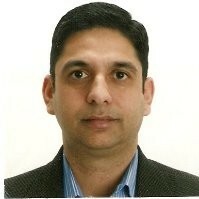 Skilled in Business Transformation, Data warehousing, Business Analytics and Management Consulting. Strong Analytics professional with a Master of Science focused in Business Analytics from NYU Stern School of Business. 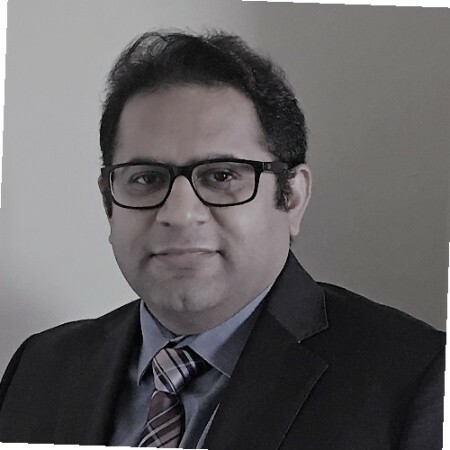 Strategic and motivated global Leader with 13 years of experience in Technology transformation initiatives with a focus on using new technology solutions like Intelligent automation and Blockchain to advance life sciences companies and their digital footprint for the future. 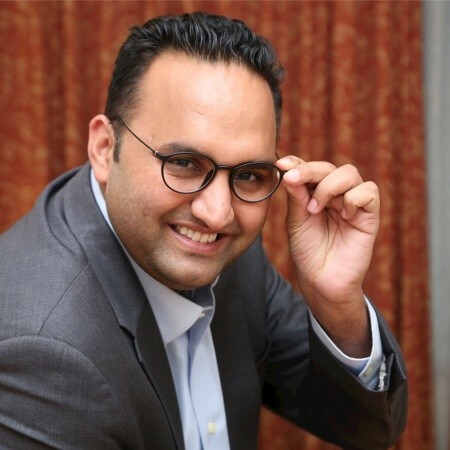 Innovative leader pursuing the “art of the possible” in the areas digital transformations, business engagement and mobility, with a clear focus on value creation and commercial growth. Responsible for multi-year strategic technology roadmap development delivering against it. Skilled in communication of complicated issues in clear and simple language to business leaders and board level executives. • Executive leader with extensive experience in leading digital & analytics programs. Proven success in delivering large scale engagements for fortune companies. • Experience in managing large global teams, vendor relationship, executive relationship, budgets and P&L. • Strong exposure & experience of setting up and leading the center of excellence for a new dimensional / cutting edge technology products & process offerings. • Strong Experience in designing and executing organization wide training programs. • Strong technology experience in variety of analytical tools – SAP HANA, BW, Business Objects, Predictive Analytics, Data Services, SPSS,etc. Thorough understanding of SAP eco-system including SAP ECC, APO, CRM, and latest offerings such as S4/HANA. Senior Finance Exective with over 20 years of corporate accounting and management experience. Hands-on manager with expertise in accounting systems development, fiscal management and financial reporting. Proven record of developing and implementing financial, operational and internal controls that improves P&L scenario (bottom line) and competitively position the organization. Result-oriented professional who uses financial information as a tool to solve complex business problems such as restoring/improving corporate earnings, lower capital employed, strive for continuous improvement and implement fiscal discipline. 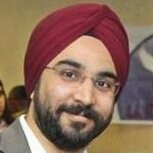 Harjit Singh is an investment banker with over 10+years of investment banking, private equity/venture capital and trade finance experience. He has worked in prestigious companies like Morgan Stanley, DTCC and Oppenheimer and Co. 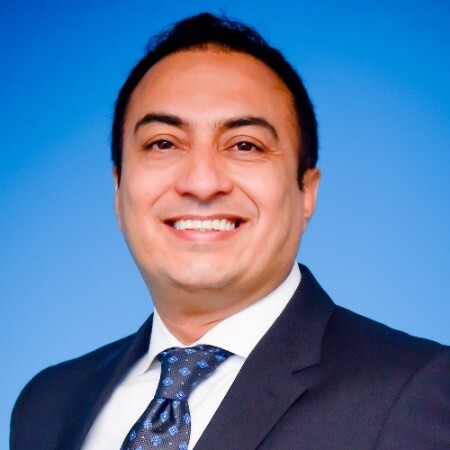 Most recently, Harjit ran a Wall Street Branch for Soleil Capitale Group/Surya Capitale Securities, a small family office helping small companies finance international trade, raise capital as well as invest in promising ventures. He helped start private equity/venture capital and investment banking operations and participated in their thriving trade finance operations. 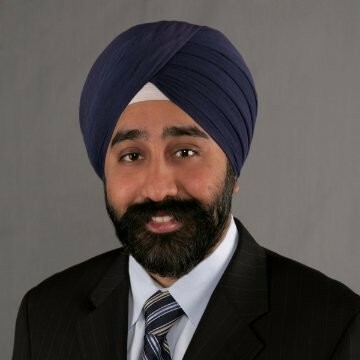 Harjit has worked with companies in the transportation, insurance, staffing, media & entertainment and biotechnology industries. A certified human resources professional with diverse and rich multi-functional HR experience. Extensive background in HR generalist affairs, including employee recruitment, employee engagement and retention, on-boarding and orientation, HR programs and project management, competency mapping, and corporate social responsibility. Working knowledge and understanding of multiple HRIS software and applications – Workday, Peoplesoft, SAP, etc. Strong interpersonal and people management skills with ability to work in cross cultural environment and set-up. Real estate investment professional with over 16 years of experience in real estate, investment banking and finance. Recognized industry leader in sourcing and structuring capital investments, with a particular expertise with EB-5 financing transactions. Deep experience in leading and structuring complex transactions and maximizing the value of distressed assets and portfolios. Under her stewardship, ITBD will continue to build strong strategic partnerships and vendor alliances that add Value to our customers. Our Brand will continue to grow, always innovating by adding additional service offerings, while remaining true to our Core business. We will dedicate ourselves to growing our community, developing our leaders, and making ITBD a name that is synonymous with our Core Values of Integrity, Accountability, Community, Innovation and Value. I help organizations grow stronger and faster in the most efficient way possible. 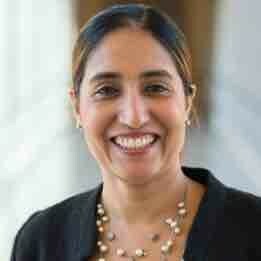 Motivated leader, developed strategy to bring innovative solutions to Citi. Mini has over 20 years of IT experience in Architecture, technical design and engineering. 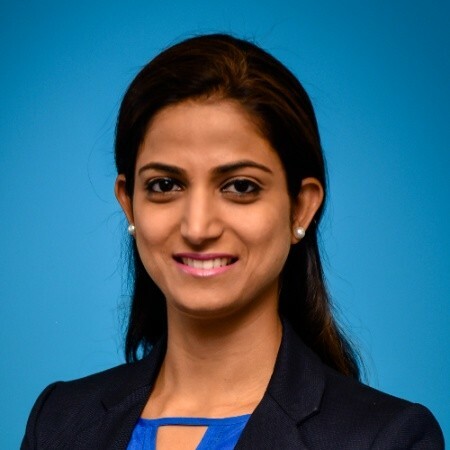 She is engaged with bringing emerging technologies for Citi Fintech, Enterprise Content Management, Electronic Signatures and others. Experienced in Implementing large projects in complex and global environment used by several thousand users. She is a well-thought leader who is skilled at building high performing team, help bring new ideas and technologies into fruition. Developed and managed Fintech partnership and alliance to build innovative solutions that can bring potential save to Citi. She has managed various vendor relationship, executed contracts and licensing terms and structure. Mini has been lead in running Citi Tech Expos, FIRST Robotics collaboration with Citi and various other Women leadership workshop and initiatives as chairperson of Women of Warren. She has also sponsored and mentored women for developing talent program of Citi. 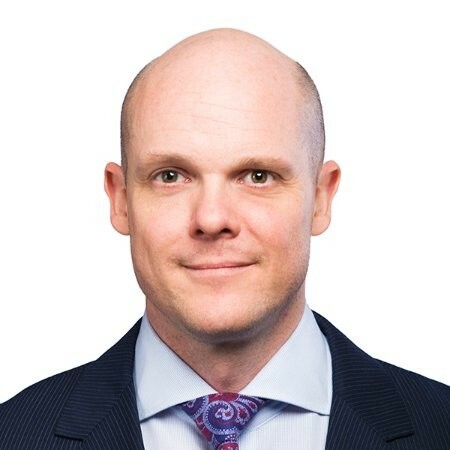 Results-driven, goal-oriented, and extremely proactive professional with 19 years of diverse experience in the financial services/private equity industry with JPMorgan Asset Management, IDEAglobal, a leading financial research house, AllianceBernstein Institutional Investments, Jina Ventures and Edelweiss Financial Services. Specialties: Exceptionally strong leadership, team-building, communication, and presentation skills. Functional experience in sales, marketing, business development, distribution, and research. Attorney-at-law and Partner with Florio, Perrucci, Steinhardt & Fader, LLC, specializing in business litigation, employment law, public entity representation, and criminal defense out of the firm’s Rochelle Park, New Jersey office. Councilman-at-Large for the City of Hoboken. 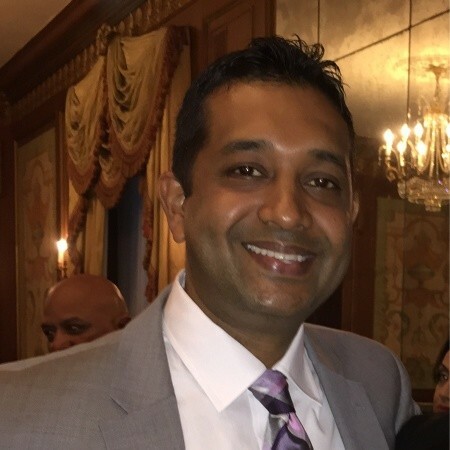 With over 20 years of experience in financial services industry, Roshi now heads the Middle Office business at Viteos and is also responsible for certain key relationships the firm has developed over the past several years. Always a social character, Roshi knew early on that he would somehow combine his ability to create community with his passion for commerce and accounting. And now at Viteos he handles responsibilities in the areas of relationship management, project management, business development, transitions, and operations. Business Development Executive with experience in establishing and growing mid size and large organizations in the IT and BPO industry . Experienced in launching new IT/BPO service offerings to meet the market needs and building successful business around these services by designing and developing sales, marketing, delivery and support organizations. 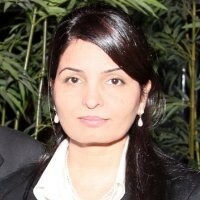 Sunny Kaila is the founder, visionary and driving force as CEO of IT BY DESIGN, and Staffing by Design. 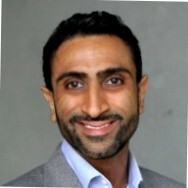 He is also the Founder & President of the Sikh American Chamber of Commerce. Sunny has successfully created a work environment that brings in the best talent. As a result, he has been able to provide his customers with technology services that meet the ever-increasing dependency on technology to protect, secure and help companies achieve success. Being a trusted, passionate and reliable IT partner is Sunny’s mission. 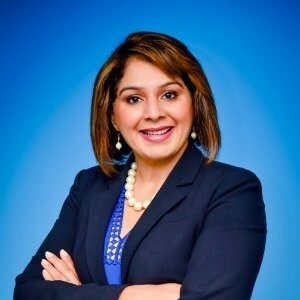 Sunny is an advocate for small and medium sized business owners. 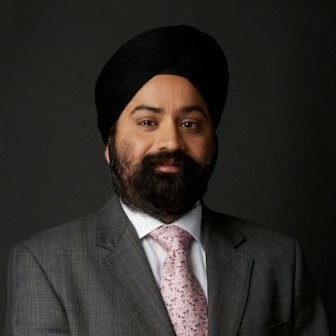 As a result, he has devoted time and resources to bring the Sikh American business community together by launching the Sikh American Chamber of Commerce (SACC). This non-profit organization is now proliferating into regional groups around the country. For more information, please email at info@sikhamericanchamber.org or call 732-379-6180.